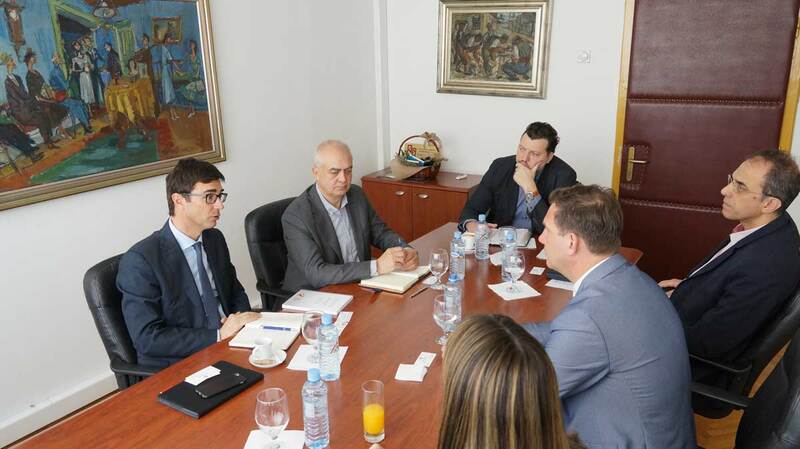 The president of the Foreign Investors Council, Stefan Peter, with his collaborators, held a working meeting with the chief of the International Monetary Fund (IMF) Office, Sebastian Sosa, in the Economic Chamber of Macedonia (19.3.2019) at which it was talked about the current state in the economy and the challenges the foreign investors face in the country. In the discussion, the president Peter highlighted that maintaining the macroeconomic and financial stability, and of the political stability, are key prerequisites, but they are not sufficient. It is a fact that the election processes in the state can have a significant influence on the economy; hence, the potential political instability can postpone the planned production and investments of the companies. 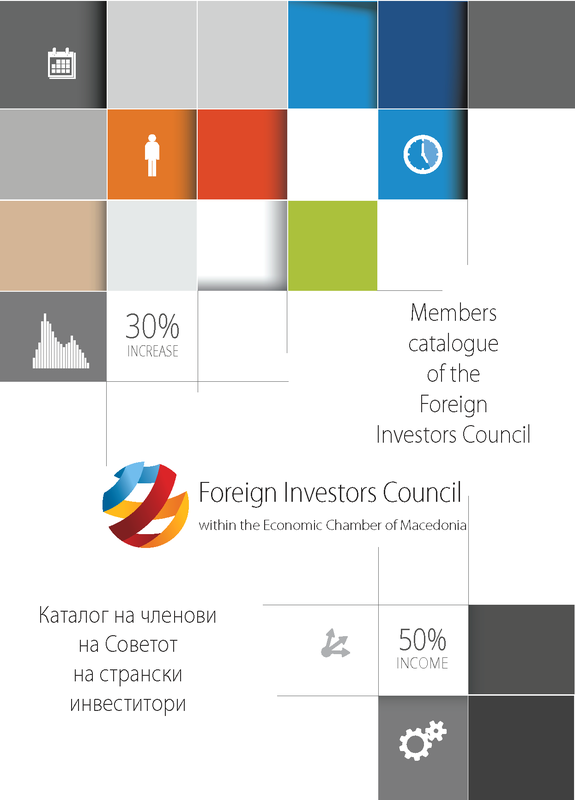 In order to achieve faster and more sustainable growth, Macedonia has to implement the necessary structural reforms that will significantly increase the efficiency and productivity of the overall economy and will create a business environment in which equal rules for all actors will be set, which will contribute to further strengthening of the private sector. – Every economy has a need of a favourable business environment, stable and foreseeable working relations and stable, functional institutions. In this sense, the key priority is the promotion of the public-private partnership by strengthening the cooperation with the authorities that will bring benefits both for the foreign investors and for the domestic companies- stated Peter. 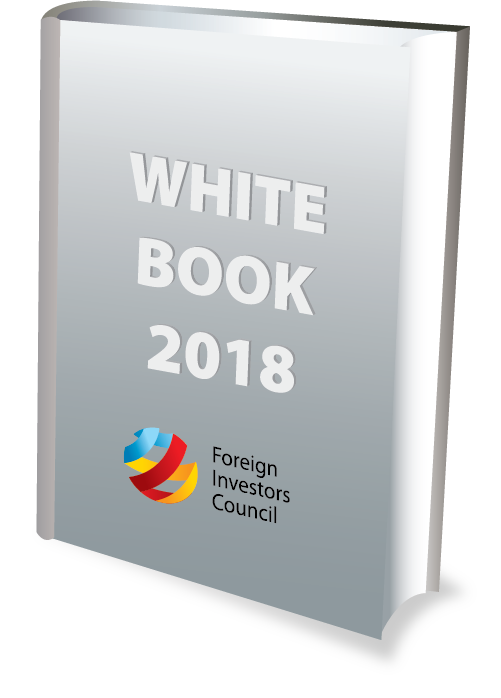 On this occasion, Stefan Peter, MSc., introduced the chief of the IMF Office with the recommendations of the last year’s edition of the “White Book 2018”, that, to the greatest extent are focused on the improvement of the business climate and facilitation of the business, first and foremost, buy creating foreseeable business environment, more efficient administration, reduction of the overall administrative procedures and legal burdens and restructuring of the educational system with the objective to create a high quality and skilled workforce corresponding to the needs of the labour market. Additionally, Stefan Peter, MSc., stated that the companies-members of the Foreign Investors Council, but of the Chamber as well, are intensively working on systematic changes in the education in Macedonia in the direction of implementing dual education in secondary vocational schools with the objective to create a high quality and qualified workforce and to reduce the problem with the lack of skilled staff for the needs of the foreign investors in the country. Furthermore, it was stated that the Foreign Investors Council is a strong supporter of the NATO and EU perspectives of the country that are the strongest guarantee that the economic development will continue with accelerated pace. The membership in the EU and NATO will bring Macedonia positive prospects, particularly for the business sector, by establishing European standards and easier access for the companies to the EU market. 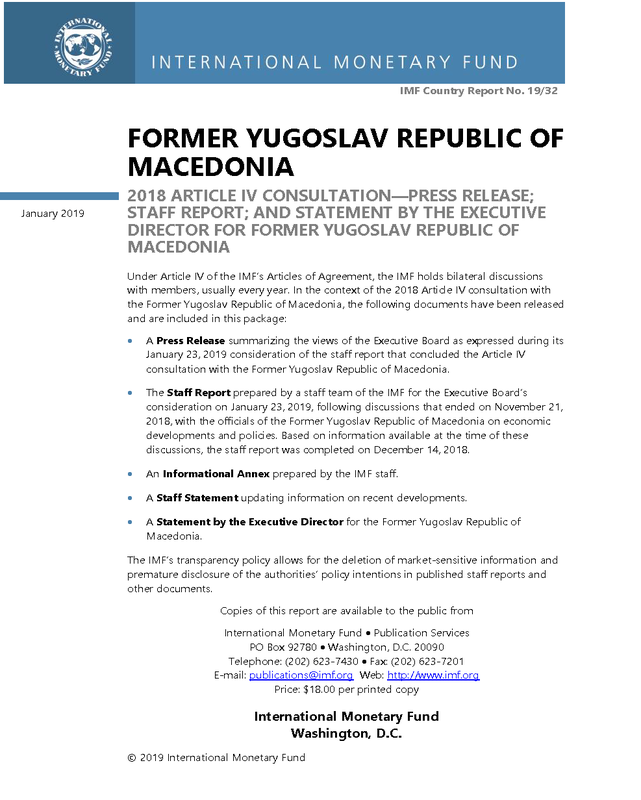 On the other hand, the solution of the name dispute and the implementation of the necessary reforms that will open the accession negotiations with the EU will result in new optimism and trust of the investors, while the Economic Chamber of Macedonia and the Foreign Investors Council will have a significant contribution to the process of harmonizing the legislation with the European Union acquis and opening economy chapters- as stated at the meeting.